At its very core, blogging is masturbatory. Near the end of 2008 Mike Duncan started The History of Rome podcast, what I would like to consider the best crash course in the history of the Roman Empire next the Mr. Gibbon himself. The great part of his podcast is that there is no reading required. Mike has done all the leg work and assembled great podcast after podcast of this incredibly interesting story of the rise and fall of the Roman Empire. I say fall, because it does happen. As of this date his growing slate of podcasts has yet to reach the great fame of the Emperor Constantine, and I dread when the day will happen when Mike has to describe how the ancient Roman world was involved with the first World War. I do this little explanation because we hail from the same university (go, ahem, vikings) and because he has come to the point of history where my favorite emperor has been introduced, described, and retired. Yes, my favorite emperor is Diocletian. Sure, Hadrian can be a close second and who can really dislike Trajan or Marcus Aurelius. But for me, Diocletian was so far in the future for his time that he single handedly shaped the transition from antiquity to the middle ages. I might be overstating my opinion, but if I won’t do the overstating no one will. He was a great builder in for the Empire. His Palace in Croatia, his various temples in Egypt and the Middle East. He just had a taste for architecture, although not of strictly Roman styles as this article touches on. At the middle of the 3rd century Rome was a mess, there were emperors rising up and getting killed left and right. If that wasn’t worse, the borders of the empire were being overrun by numerous tribes all over the the place. It didn’t matter what was on the seat of Rome, Egypt was ignoring rules, German tribes were doing whatever they want, and the British Isles were on their own most of the time. The presence and title of emperor had grown pretty meaningless since Marcus Aurelius. The emperor during the Crisis of the 3rd Century was usually some military general or snot nosed kid, a different manboy every other year who spent his time fighting disloyalty and enemy armies all over the place rather than dealing with what really was killing Rome: economic stagnation and infighting. Rome was a mess and, as Mr. Duncan puts it, on life support. Enter Diocletian. The guy seemed to come from nowhere. He wasn’t from an illustrious family or a great military mind, he was, however, a brilliant societal observer and shrewd pragmatist. He began his reign as emperor like many of his predecessors, mainly by taking a bigger army that named him emperor and killing a man, Carinus, who also claimed to be emperor. 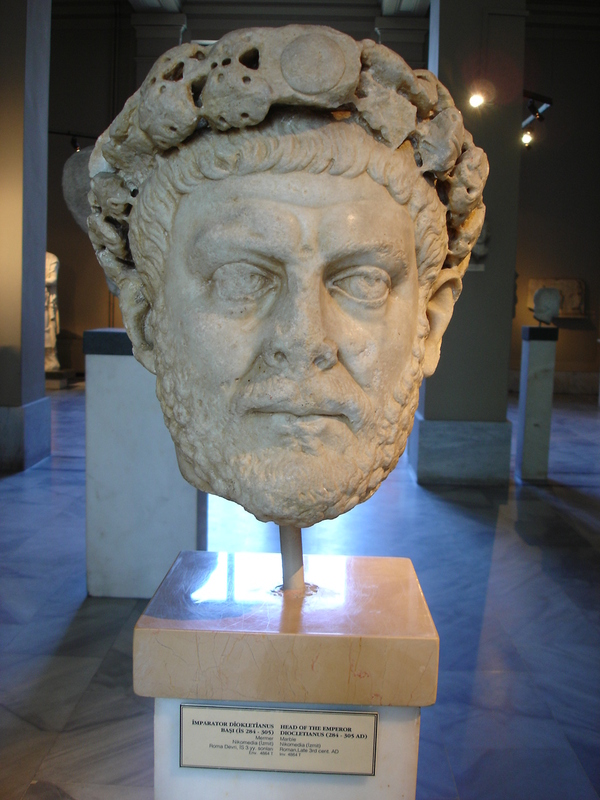 Diocletian solidified power unlike his predecessor – he forgave those opposed to him in his fight with Carinus. He didn’t purge or burn, he let them go and let them keep their jobs. 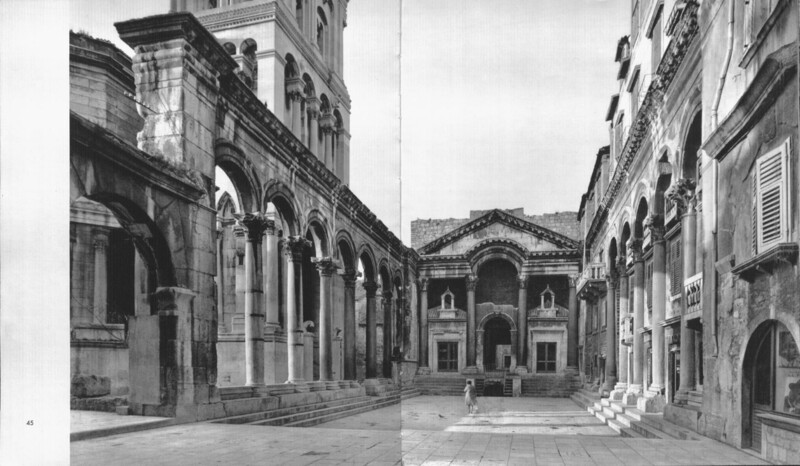 Diocletian’s triumphs were many. He recognized no single man could do all that the office of emperor required, so he sliced off duties and handed them to men – he, *gulp*, shared power. In establishing the Tetrarchy rule, he constructed a new pecking order that fluctuated throughout his reign and yet allowed the emperor to do his job better and force stability throughout the Empire. He delegated and invested men offices that had at one time been done only by the single emperor. He kept this new power structure in line with several brilliant practical moves. He never ruled or even visited Rome, moving the capital to the East. He began taxing Romans (yes, they didn’t have to pay taxes – at all) and all citizens more closely, neutering the old power families and holding all people to higher expectations (and returns). He grew the bureaucracy and the size of the army. He installed his own governors around the empire that were outside of the local power vacuum and listened to him. Most interesting to me is Diocletian radically changed the image of the emperor augustus from “the first citizen of Rome” to “lord of Rome” and aligned himself as a divinity to the god Jupiter. This is incredibly ballsy for the time and for a Roman, a conversation with Jupiter and any speak of earthly divinity could only be found in death prior to this. It was likely he found his divine inspiration in the cultures of the East (Persia namely), and introduced it to Rome. Of course the French “Sun King” would famously take this to the amazing ends during the 17th and 18th century. He basically poured the foundation for what would harden and become the reign of the first substantial Christian emperor Constantine and the ensuing thousand years of the middle ages and their divine emperors and kings. Diocletian, along with the new tax system, instituted what would become recognizable to the middle age practice of serfdom by taking a census of every citizen and requiring them to do the same job and to pass that job down to their sons. So, if on the day of the census you were busy being a potter – it was permanent. He also forbade families to move from the town where that census was taken. This move of permanence can been seen today, in our surnames. Find out what Smith or Tanner or Pitman or Leech or Hooper or Dexter or Mayer mean. Diocletian wanted economic predictability in the empire, and this is what he thought would work. And it did, for several hundred years. Already this post is too long – boring! But I have to mention his role in the history of Christianity, and how I think Constantine ultimately benefited from Diocletian’s tract on this new upstart religion. Yes, Diocletian persecuted Christians. He did this because in several ways they were just too new – they weren’t like the ancient Jewish faith or the generational belief in Roman gods. They were new, and they had no single voice or presence. Everyone with an itch would be touting some new ritual or belief and Diocletian saw this as not only angering the Roman gods, but leading to societal chaos. I have not gotten the impression that he wanted the people who called themselves Christians exterminated, that would have been counter productive, he just wanted them to get the order right of who they pay taxes to (pay Caesar what is Caesar’s was kinda being ignored) and stop thinking they were entitled to be taken seriously because they were an immature belief. I’m not going to even care about what attracted people to the faith of Christianity in the Roman Empire, but there was a lot of new imperial rules being handed down by a large part of the population beholden to Diocletian. Besides, persecution mostly meant they couldn’t hold positions or they were required to do the traditional Roman rituals. I wish I could convey how un-idealistic Diocletian was about religion – Diocletian was an ultimate pragmatist and not some religious zealot out to kill beliefs that weren’t his own. When Diocletian eventually retired (yeah, he retired!) and died Constantine would use the mythology card to harness this persecuted minority and ride it to his own power vacuum. There are so many intricate things Mike goes into on his podcast. He has a new free podcast every week and I always look forward to hearing it. Except episode 46 and the whole assassination of Julius Caesar, that is just so played out in history. I enjoy that you place superlative content out that is clear and well-written. You are currently reading Diocletian Was Ahead of His Time at Add.a.m.